Australian Centre for Disability Law promotes and protect the human and legal rights of people with disability and their supporters through legal advocacy. Learn more by visiting the Australian Centre for Disability Law website. AFDO is the peak organisation in the disability sector representing member organisations run by people with lived experience of disability. It has a focus on systemic advocacy working for long-term social change for people with disability. It works to make sure the rights and interests of people with disability are served through informing government(s) agencies, and communities on legislation, policies, practices, and initiatives. Learn more by visiting the AFDO website. A4 is the national grassroots organisation delivering systemic advocacy for autistic people and their close associates who live in close proximity to ASD. A4 advocates for policy, programs and anything else that improves the lives of autistic people. A4’s management always includes strong autistic representatives. Learn more by visiting the A4 website. Brain Injury Australia provides information and a gateway to nationwide referral for optimising the social and economic participation of all Australians living with brain injury. It was formed at the first national community-based conference on Acquired Brain Injury (ABI) in 1986. Learn more by visiting the Brain Injury Australia website. Learn more by visiting the Children and Young People with Disability Australia (CYDA) website. Diversity and Disability Alliance is a user-led disability support organisation, run by and for people with disability from diverse backgrounds with the support of families and allies. They strive for an inclusive, diverse and just society where people with disability have voice, choice, and control over our lives. Learn more by visiting the Diversity and Disability Alliance website. 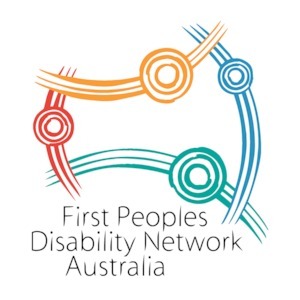 First Peoples Disability Network Australia (FPDN) is a national organisation of and for Australia’s First Peoples with disability, their families and communities. They are governed by First Peoples with lived experience of disability. FPDN proactively engage with communities around Australia and advocate for the interests of Aboriginal and Torres Strait Islander people with disability in Australia and internationally. Learn more by visiting First Peoples Disability Network Australia (FPDN) website. Intellectual Disability Rights Service (IDRS) is a free service for people with cognitive impairment across NSW. Learn more by visiting the Intellectual Disability Rights Service (IDRS) website. Leadership Plus supports people with disability, with specialist skills in Acquired Brain Injury (ABI). They work collaboratively with communities, business, government and not for profit partners, in cost-effective and best-practice approaches. Learn more by visiting the Leadership Plus website. Learn more by visiting the Mental Health Australia website. National Ethnic Disability Alliance (NEDA) is a national Disabled People’s Organisation (DPO) that advocates federally for the human rights of people with disability, and their families, from culturally and linguistically diverse (CALD) and non-English speaking backgrounds (NESB). Learn more by visiting the National Ethnic Disability Alliance (NEDA) website. The Autistic Self Advocacy Network of Australia and New Zealand (ASAN AUNZ) is run by Australian and New Zealander Autistic people, for Autistic people. They are associated with the Australian Autism Alliance making them a part of an international Autism advocacy network. Learn more by visiting the The Autistic Self Advocacy Network of Australia and New Zealand (ASAN AUNZ) website. The Human Rights Council of Australia is a organisation of people committed to promoting universal human rights for all without discrimination; in Australia, our region and the world. Their members bring together years of experience, commitment and action in the human rights field. Learn more by visiting the Human Rights Council of Australia (HRCA) website. The Short Statured People of Australia (SSPA) is a non-profit organisation that provides support and information for people with conditions of dwarfism, their families and other interested members of the community. The SSPA is made up of volunteers who aim to educate the community, provide peer and parent support, participate in programs that benefit the dwarfism community and promote the achievements of people with dwarfism. The SSPA actively supports the Children’s Hospitals, Bone Dysplasia Clinics and Genetic Support Networks throughout Australia. Learn more by visiting the Short Statured People of Australia (SSPA) website. Women with Disabilities Australia (WWDA) represents more than 2 million disabled women and girls in Australia. We are run by and for women with disabilities. We operate as a transnational human rights and systemic advocacy organisation. Learn more by visiting Women with Disabilities Australia (WWDA) website.